We have a confession to make. We didn’t always care about essential oils. We wrote them off as hippie-dippie stuff, and didn’t think that they could actually help with an issue like snoring. Everything changed when we were given a diffuser and an essential oil starter pack for Christmas. Playing around with different scents, we were surprised to discover that they really did help with both the frequency and the intensity of our snoring. We fell down the rabbit hole after that. We went from disbeliever to full essential oil convert! Today, we’d like to take some of the knowledge and experience that we’ve accumulated and use it to help other snorers. When it comes to snoring, we’re experts. So we think that we can make some valuable recommendations. Without further ado, let’s get into our reviews of different essential oils for snoring. Essential oils are a dime a dozen. How are you supposed to know which ones can really help your snoring problem? One way is to look at the label. Certain flowers and shrubs are known to help sleep issues, and if they’re the main ingredient of the oil, there’s a good chance that the product is the real deal. Let’s take a look at some of the best oils and compounds that you can use to stop snoring. Peppermint oil is a fantastic sleep aid. Not only is it a natural painkiller that can soothe your tired muscles before bed, but it also has anti-inflammatory properties that can relieve some of the pressure in your throat as you sleep. If you don’t already know, snoring is often caused by your throat and tongue blocking your airway. Anything that can lessen this pressure can also lessen your snoring, so peppermint oil is a handy tool to combat it. Last but not least, peppermint oil contains menthol. That’s the tart, tingly stuff that gives it a kick. Menthol is a popular way to clear up the sinuses, so even if you’re a nose snorer rather than a mouth snorer, peppermint oil can still help. You’ve probably cooked with thyme at some point in your life, but did you know that you can use its oil as a sleep aid? Thyme oil works on multiple levels to help you achieve a deeper, more restful sleep. In addition to soothing your throat with its antibiotic and antimicrobial properties, it can also reduce your cholesterol, lower your blood pressure and stabilize your heart rate. All of this translates into a better night of sleep. Instead of tossing and turning in frustration, your body will be soothed into stillness. Instead of snoring like a freight train, you’ll breathe calmly and easily throughout the night. Consider thyme as your next choice in essential oils. There’s a reason why it’s one of the most popular home remedies in the world. 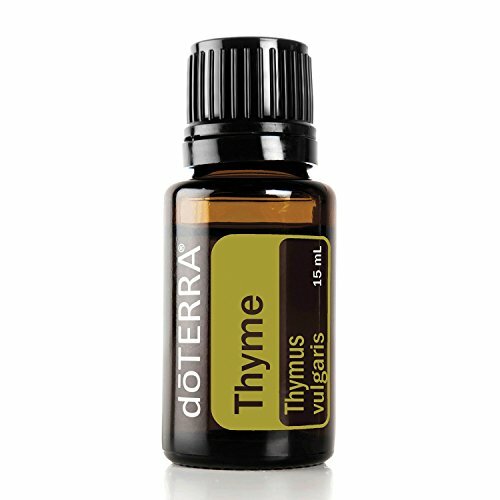 Dr. Mercola has a great article on Thyme oil health benefits. Eucalyptus is a well-known decongestant, so if you struggle to breathe at night because of asthma, bronchitis, sinus infections or any other kind of respiratory issue, eucalyptus can help. The benefits of eucalyptus for snoring are pretty obvious. Remember, snoring is usually an airway issue, so making sure that your airway remains open and unobstructed is the best way to stop your snores. Another benefit of eucalyptus oil is that it doesn’t have to be topically applied. If you hate smearing things on yourself before bed, you can just mix some hot water with eucalyptus oil drops and breathe in the resulting steam. You’ll still clear your sinuses, but you’ll do it shower-style instead of colicky-baby-style. Have you heard of marjoram oil? It’s one of the lesser-known essential oils, but it’s gaining a lot of attention in the snoring community because of its effectiveness and ease of use. The best thing about marjoram is that it really works. It’s been studied by researchers and deemed a legitimate source of antioxidants and stimulating compounds that can help with things like snoring and sleep apnea. Another nice feature of marjoram oil is that you can use it in all kinds of ways. Add it to your bath; rub it under your nostrils; load it into a diffuser. You can even cook with certain kinds of marjoram oil! It’s a popular addition to stir fry dishes all across Asia. Marjoram oil can also help with pain relief. It’s often used as an aromatherapy oil to soothe things like arthritis and pulled muscles. If you have trouble falling asleep because of aches and pains, consider marjoram oil. Many people who suffer from sleep issues reach for chamomile when they want to get a full REM cycle. Some drink chamomile tea; others light chamomile-scented candles or incense. Another option is using chamomile essential oil. Chamomile oil is a very calming substance. It will soothe your mind and body even if you’re dealing with stress, anxiety or insomnia. It has a pacifying effect on your brain chemistry. This relaxed state can really help with your snoring, especially if you’re the type of snorer who wakes yourself up with your own wheezing, huffing, coughing or honking. Instead of jerking awake at 3AM, you’ll keep on snoozing through the night. You won’t disrupt your own rest. Lemon oil has a sweet, sharp scent that will keep your airways open at night. It will act as a minor shock to the system that’s enough to be efficient but not enough to actually keep you awake. It’s especially helpful when applied directly under the nose. The best thing about lemon oil, however, is that you can make your own. You don’t have to special-order it from fancy aromatherapy shops. Lemon juice is easily extracted from fresh lemons, and by adding it to something like almond oil or coconut oil, you can create a home remedy for snoring that’s just as effective as anything on the market. Lavender oil doesn’t have a ton of medicinal properties, but there’s nothing better when you’re looking for a scent that will relax you. The fragrance of lavender has been used since ancient times as a stress reliever for troubled souls. Kings, pharaohs and emperors have all called on their servants to put lavender in their baths or under their noses. As for snoring, lavender can help with that as well. It can reduce your emotional anxiety as you go to bed and cringe in anticipation of your snores. It can also keep you calm as you sleep, easing your tension and preventing you from fidgeting and making your snores worse. If you want to soothe your spirit as well as your body, think about adding some lavender oil to your shopping basket. Now that we’ve covered some of the best floral compounds for anti-snoring remedies, it’s time to get into specifics. Which essential oils are the best in the business? Which brands can you trust? Which products will actually calm down that hibernating animal in your chest? We’ve decided to limit ourselves to our top three choices. Wecould probably make a list of 100 different oils that we’ve tried and liked, but since we want to recommend the best of the best, we’ve narrowed it down to three. We hope one of these products works for you, too! With both physical and psychological benefits, NOW Marjoram Oil offers top-notch relief to snorers. There are three kinds of marjoram: sweet marjoram, pot marjoram and wild marjoram. NOW Marjoram Oil is the wild kind, and it lives up to this label by offering an all-natural way to curb your snoring. Let’s start with its medicinal qualities. As we mentioned in the previous section, marjoram is a great source of antioxidants, so NOW Marjoram Oil will offer more than just a relaxing scent to help you drift into dreamland. It will also boost your overall feeling of wellness and make you feel refreshed and rejuvenated when you wake up. Another great thing about NOW Marjoram Oil is that it’s completely natural. It’s 100 percent pure marjoram oil made from steam-distilled leaves and flowers, and it undergoes rigorous quality testing from NOW’s facilities as it’s packaged, shipped and stored. The one drawback of NOW Marjoram Oil is that it’s only available in a one-ounce bottle. It won’t last a long time, especially if you’re using generous amounts on your neck, chest or feet. All things considered, however, NOW Marjoram Oil is one of the best essential oils for snoring. Not only will it keep you calm and relaxed while you sleep, but it will make you feel better when you wake up in the morning, too. Stop your snores and soothe away the aches of the day with this Eucalyptus Essential Oil. 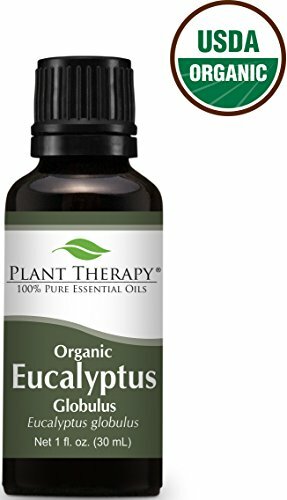 There’s a lot to love about the Eucalyptus Essential Oil from Plant Therapy. For starters, it’s completely organic. It was extracted from fresh eucalyptus leaves and steam-distilled with care and precision. It was added to its carrier oil without the use of chemicals or synthetic materials. It’s 100 percent natural. It also comes from an organic, USDA-certified brand. Plant Therapy works with local farmers to provide sustainable, eco-friendly products, so you’ll be helping yourself and the environment when you buy their essential oils. As for its effectiveness, the Eucalyptus Essential Oil works very well as an anti-snoring product. Since it acts as a decongestant, it will clear your sinuses of snot, mucus and phlegm as you sleep. This will result in less snoring since your airways will remain free and clear. Last but certainly not least, the Eucalyptus Essential Oil is available in multiple sizes: 10 millilitrEs, 30 millilitres and 100 millilitres. Choose whichever that you’d like. With all kinds of medicinal qualities, you’ll feel better throughout your entire body when you use the doTERRA Thyme Essential Oil. The doTERRA Thyme Essential Oil can do many different things for your well-being. The most relevant, of course, is that it can reduce the strength and severity of your snores. Its warm, relaxing fragrance will permeate your senses and help you achieve a deeper, more restful sleep. There are other benefits of the doTERRA Thyme Essential Oil, too. 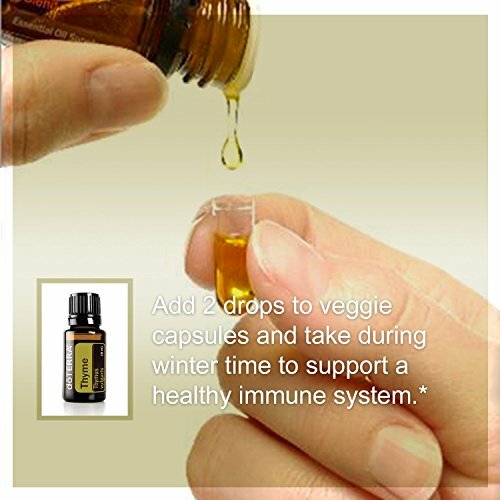 It can boost your immune system. It can promote clearer skin and healthier hair. It can even repel insects! The most important thing about this product, however, is that it’s a great essential oil for snoring. Not only is it powerful, but it’s also extremely versatile. You can spread it on your feet, dot it around your neck, put it in a diffuser, add it to veggie capsules or drink it with a glass of water. If you’re sick of snoring, consider the doTERRA Thyme Essential Oil. There’s a reason why thyme is one of the most popular herbs for sleep issues, and the doTERRA brand has utilized it to its fullest potential. Essential oils are the real deal. When you buy the right kind and use them in the right way, they can become excellent weapons against snoring. You might have to experiment a little. We did. Some fragrances smelled better to us than others, and some application methods proved more effective than their cousins. At the end of the day, however, a good essential oil can get the job done. Don’t be afraid to try a bottle or two!